Living in the western United States, there is one thing certain for climate, is that it gets hot. Thus, you need to cover yourself under a solid surface for some shade. 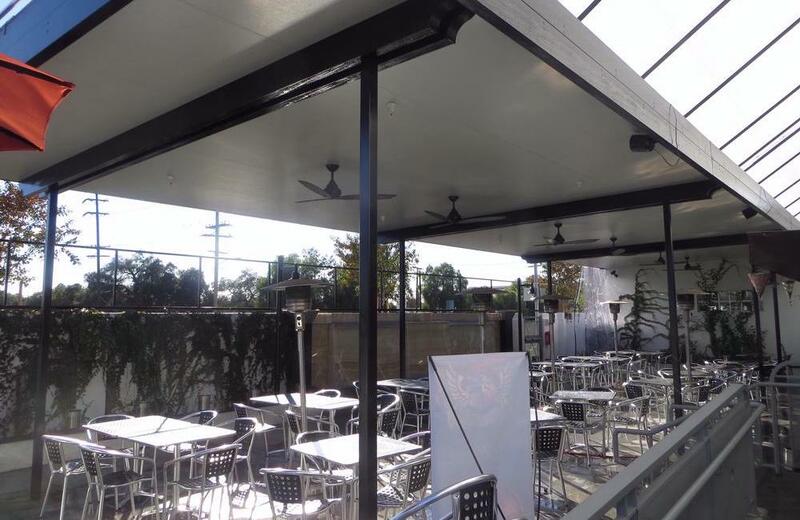 Patio covers are solid open structures that are permanently fixed to protect from sunrays or heat. They are available in multiple material types, sizes, shapes and installation methods. Although there is a big difference between several patio covers, they all have one thing in common and that is they provide needed shade for the climate. Wooden patio covers derive from wood products. However, wood material differs according to which region of United States it comes from. Wood patio covers are constructed with roofs such as concrete tile, with lattice or shade bars. They come in various sizes, shapes, and variations. They require maintenance whereas aluminum covers do not. Wood patio covers are considered traditional type before aluminum patio covers. Today people enjoy the beauty of real wood patio covers, as it has some advantages. It is a timeless product and material and it never goes out of style. It is the most widely used patio cover. The paint options are available in countless numbers. Design options are limitless, and so wood patio covers can raise the value of your properties. Some of the negative things they have are that they have a limited lifespan and afterward they may eventually become spoiled with dust. They are cumbersome and they have heavy and costly installation. They are relatively expensive compared to aluminum. The worst thing is that their maintenance is continual, there is painting, and replacing spoiled wood should be done. Alumawood is a brand name just like Pepsi or Coke. Alumawood aluminum patio covers come in multiple variations or styles, and so they have many manufacturers. These patio covers are designed and manufactured in a way to look and feel like real wooden patios, but they are constructed out of aluminum material. They are an amazing invention as they will not rot or spoil or even need painting. They have some advantages such as they do not deteriorate, or even fall apart from elements. They never require painting and are easy to install, in less than a day. Washing is only maintenance needed for aluminum patio covers. They cost much less than wood patios and are affordable compared to wood. However, for every positive there is a negative, alumawood is easily damaged compared to wood, they have limited colors to what is available for wood. They are limited in size, in other words, to be massive in scale when compared to wood. They are also limited in electrical improvements like lights and fans and limited in style and variety of shapes, wood has more possibilities. Both aluminum and wood materials are great products and can make fabulous patio covers, you just need to make sure that sun will always shine, so hiding is necessary for many. For more information about how Quality Home Improvement, Inc can help with your next patio project, call us at (800) 275-2154 or click here: https://www.qhiinc.com/patio-enclosure-supplier/.